Loving Tears for Fears’ Music: Why so much passion, why do we care? From the Moderator: Some weeks ago, the fantastic show Tell Me More, which ran on NPR for several years, featured a segment titled “In Your Ear.” This particular episode from the 20th of February was replayed this summer and wow did it touch a nerve. Over the past few months, at media conferences I’ve gotten into deep meaningful conversations about Tears for Fears with various attendees and media industry pals. Each person has told me amazing stories of where they were when they first heard them. Just this past Sunday, over dinner, an operations director told me she was 14 years old when she first saw TFF on MTV around 1983, the video for the song “Change” came on. “MTV was still very new at the time, ” she said. “It was the opening sound of the xylophone that drew me in. I was mesmerized by that song.” She also reminisced about enjoying Pale Shelter and couldn’t wait for Songs from the Big Chair. What an impact that album made…and on so many people including Bunji Garlin, a soca artist from Trinidad and Tabago. I can truly relate to this. Hearing Mr. Garlin speak so passionately about EWTRTW with the same visions that I have, of being a child with family, many new to the USA, still by my side, long before any of life’s realities challenged hopes and dreams. Everybody Wants to Rule the World, was my first introduction to Tears for Fears at age 5/6 (had just turned a year older, wasn’t even a month into it, a cold winter day on the way to school in my blue English pea coat with red lining listening to the car radio). When I heard Mr. Garlin speak with the same soul stirring memories, I fought back tears because that’s the story of so many in our huge fan circle. So many fans write, tweet, post and share their “why I love Tears for Fears” stories. A number of the reports sound like those of Mr. Garlin. When I speak to people, their recollection is reiterated with the same passion…that soul stirring vision. Gives me happy chills. So many say the band’s music “saved” them from very difficult times in their lives…even preventing some from taking their own lives. Tears for Fears have countless extraordinary songs. From the chart toppers to the B-sides of Saturnine Martial Lunatic, not to mention both Roland and Curt’s solo work, all of this music gets “replay” time in excess. It’s not just on our digital devices but in our hearts and minds. It comforts us during the wildest times in our lives…the good moments, the bad, the hopeful. Now, here we go happily again, by popular demand, a new Tears for Fears album to change our lives. It’s a grand addition to our life’s soundtrack. We will remember this moment for years to come. We will talk for years about how we were bracing for it, asking for it and all the interactions and days that led up to it. Hold on and hug each other tight because the magic of their music is about to flood us with new memories and excitement. So, “cheers” to the great mini-tour which starts next week, warm wishes for safe TSO anniversary and sincere hopes for everyone to have a chance to live in the majestic marvelousness that is Tears for Fears Live. Your soul will soar, that’s a promise! Big thanks to Michel Martin for her amazing show. It is certainly missed. 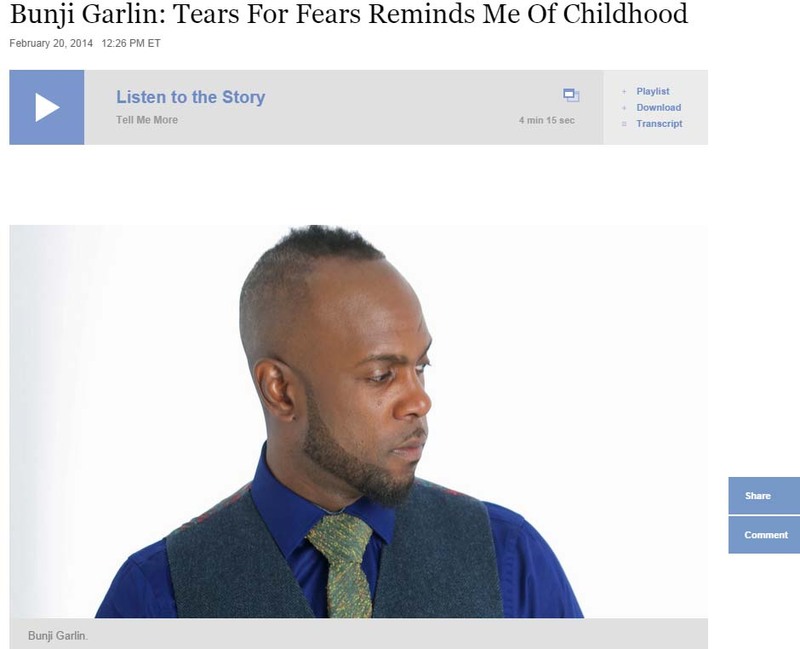 Posted on 10/09/2014 02/08/2016 by International Business and Cultural ExchangePosted in Meet The FansTagged Bunji Garlin, Curt Smith, Everybody Wants to Rule the World, MTV, Music, Roland Orzabal, Tears for Fears, Tears For Fears Fans, Tears for Fears New Album, Tears for Fears Tour 2014, Tomcats Screaming Outside. Next Next post: Show Synopsis: Austin Was Awesome! So true. Thanks for capturing this.